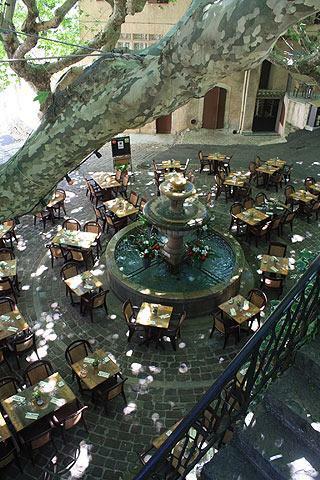 Seillans, listed as one of the 'most beautiful villages of France', is 35 kilometres west of Grasse in the Var department of Provence, in the region known as the 'Pays de Fayence'. 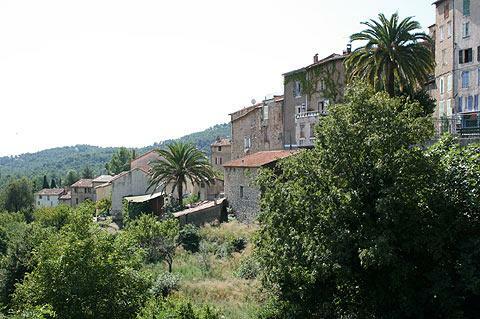 It is a small 'village perché' (perched hill-top village) overlooking the plain between the southern Alps and the Massif d'Esterel, which borders the sea between Cannes and Saint-Raphaël. 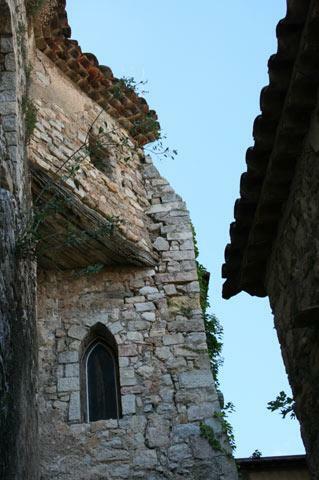 Note: in part due to its steeply-inclined medieval centre (even steeper than most of the other 'perched villages!) the centre of Seillans is only accessible on foot. 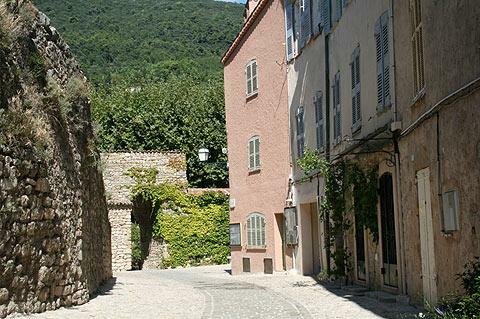 The winding streets in the centre of the village give way to a number of small squares, with numerous attractive old buildings to admire, making Seillans a popular destination for visitors, lured by the charming houses and scenery combined with the sunny climate and proximity to the Mediterranean. 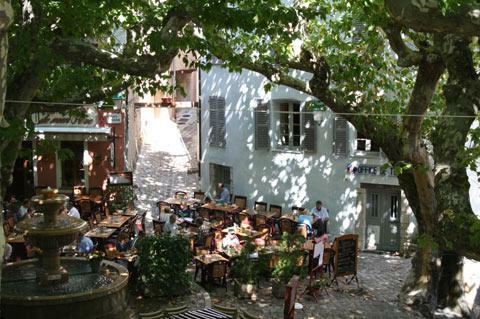 There is a lovely little square in the centre of Seillans, the Place du Thouron, with a cafe sitting in the shade of a couple of enormous trees next to Seillans tourist office, a perfect place for a rest from the steep hot streets. From here you can also walk east out of the village to see the tall houses in Rue de l'Hospice overlooking a pretty valley. 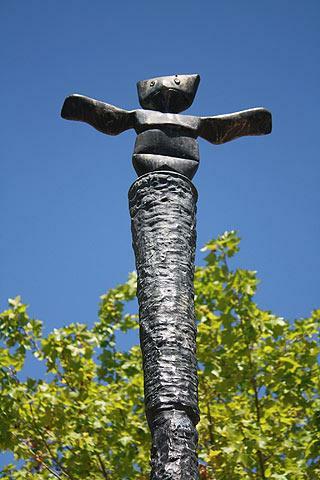 In the Place du Thouron you can also visit the Museum Ernst to see a collection of works by by the famous surrealist artist Max Ernst (who lived in Seillans for the last few years of his life) and his partner Dorothea Tanning. Some of the best views across the landscape around Seillans are from the belvedere in Place de la Republique, and in the same square you can see a bronze statue by the surrealist artist Max Ernst. 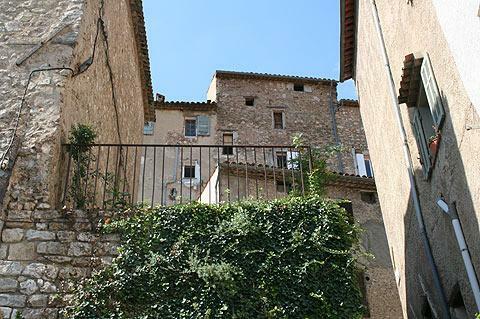 Among its historic monuments, Seillans features a medieval castle (11th century) and the delightful Church of Saint Leger (13th century but modified several times in the centuries that followed, and with a clocktower dating from 1561) at its summit. 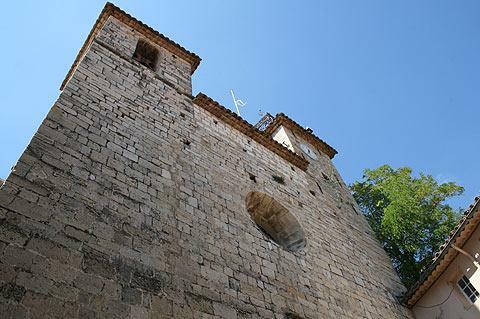 Another historical highlight in Seillans is one of the original stone gateways in the town ramparts called the Porte Sarrasine and built in the 12th century. Seillans has an annual Pottery Market and many concerts and occasional events throughout the year. The annual Musique-Cordiale 'Festival Musiques en Liberté' is a fortnight when the church, the village hall and outdoor venues resound to a variety of high quality classical, choral and jazz music from international artists each August, when the area is at its most popular with visitors. 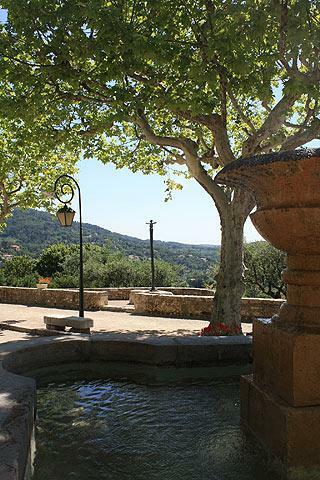 The countryside surrounding Seillans is of rustic chapels, vineyards, forests and olive groves, set in the low mountains and facing the Mediterranean. Local attractions include the nearby Lac Saint Cassien which offers various water-based leisure activities. 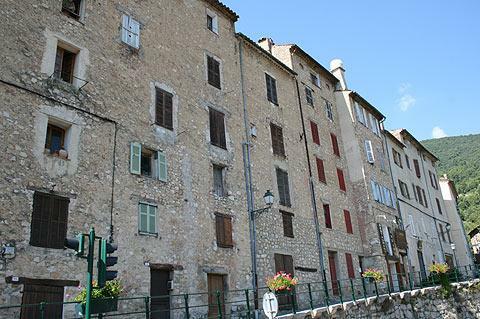 Seillans is the western-most of a line of quite similar towns and villages in the Pays de Fayence including Montauroux, Callian, Tourrettes and Fayence. The villages are all quite close together as the crow flies, a little further on the winding roads, and together form a great idea for a day exploring.